The camp Meno a Kwena has a nice hide from which you can watch an artificial water hole in the Boteti river. During Zebra migration, every afternoon hundreds of Zebras are assembling there, getting something to drink and walk away. Spielerei am Wasser … schöne Szene! Beautiful action shot Thomas. I enjoyed this one a lot. 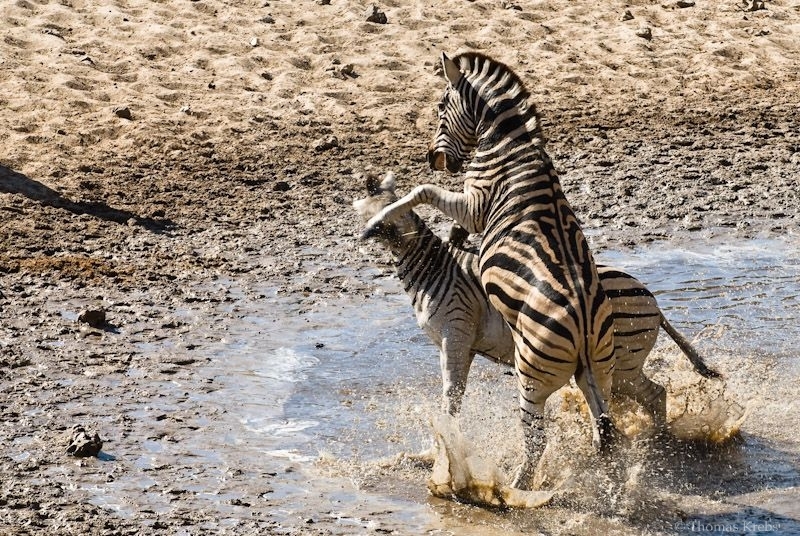 Some wild animals having a fight, nice action shot!